Great summer and first guests from US. Summer and autum have been a realy great this year. 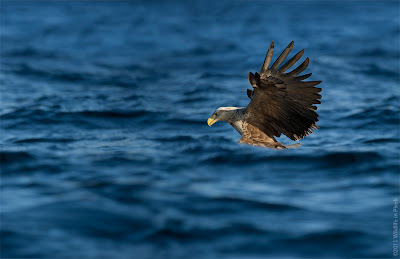 Sea Eagles have had a very good year, a great nesting season and my best day we had 48 dives.Happy with that, and there have been lots of old and new gusets comming. It’s always nice to have old friends back but also to meet new people is great. I love you all:-) Even lots of nice girls. Dont tell my wife!! I am already into the winter season and it looks realy good. 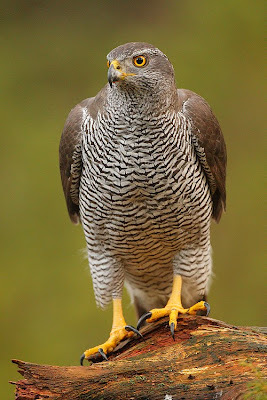 Goshawk is back and she is a realy nice lady. Golden Eagles are back at the hide and Sea Eagles we still do by boat and they are just preforming well as always. Good friends out there. November is so different, light is good and there is lots of species you never see in summer. 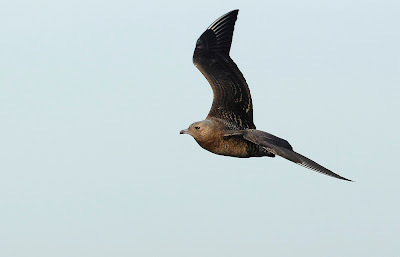 Have seen leking Black Grouse now in Nov close to the sea, Great Skua have been around and that is not normal in summer, then I have my good friends the Artic Skua. But this Nov. from 1.-9. I had my first guests from Amerika, Eric and Kevin. We had some very good days and they did well. This is why they have asked for more trips with me. US is maybe a big marked. So read what Eric and Kevin have done at this blogg. Also Eric have some nice pictures here. I departed my house at 5:30 p.m. heading to Boston’s Logan airport for overnight flight to Iceland, with a connecting flight to Oslo, in southern Norway. I was meeting my friend Eric Grossman in Oslo and together we’d fly to Trondheim, where we would spend the night. This long first leg of our journey was my least favorite part of our trip. Ole, the perfect host, drove the 3 hours from his home in the village of Lauvsnes to meet us at the Trondheim airport. The 3 of us made the return journey north to his home. Eric and I were staying in the 4 bedroom guest house on his property. The house was perfect, set right on the water and had incredible views across to the marina where Ole kept his boat, and down the bay where we would sail the next morning. Eric and I had the immaculately clean house to ourselves and entertained ourselves by looking at the extensive collection of nature books in the reading room. 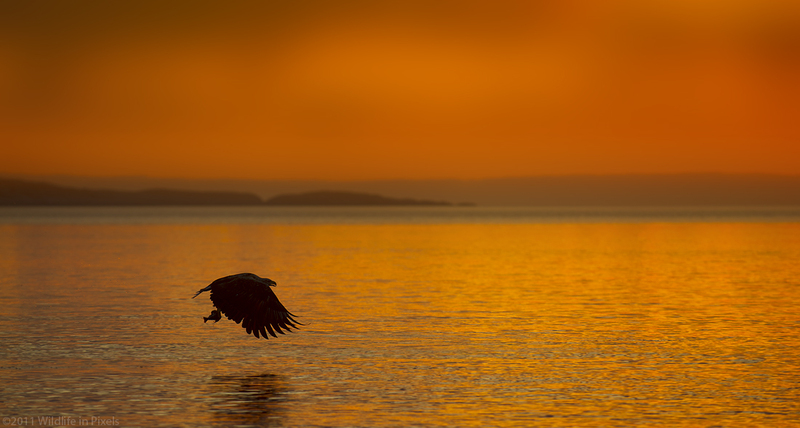 We were intrigued by the numerous framed prints on the walls of the white-tailed sea eagles, and wondered if we’d be lucky enough to see one in the following days. We soon found the next morning that we would not be disappointed. 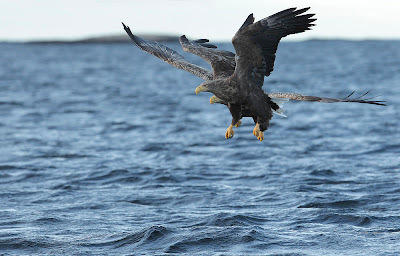 There are 20 nesting pairs of white-tailed eagles in the Flatanger area, and spending over 170 days a year on the water Ole knew where most, or all of them, were nesting. Anthropomorphizing a bit, Ole knew many on a first name basis. 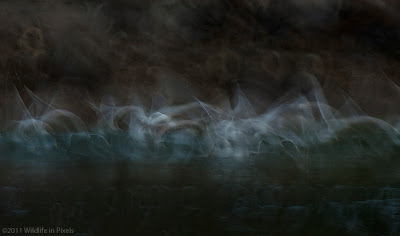 Eric and I found them to be challenging photographic subjects, but by the end of the first morning we both had incredible images of these magnificent birds. 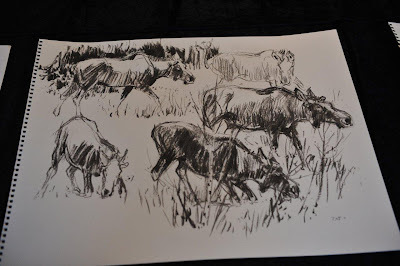 We both felt we had images that rivaled the framed prints hanging in Ole’s guest house. 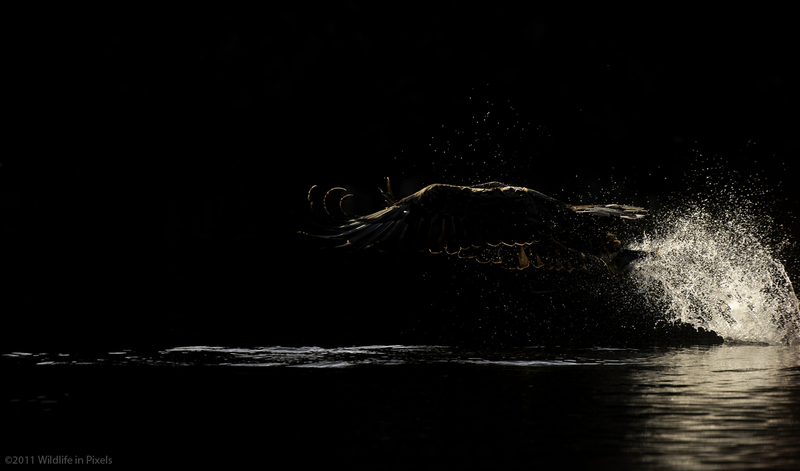 We had numerous close encounters with the eagles over the coming days. But that was not all there was to experience in the woods and waters around Lauvses. Would we be interested in trying to see golden eagles and a northern goshawk Ole asked us. Our answer was a resounding yes. 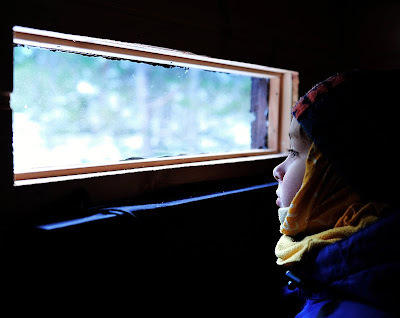 So we headed out the next morning before first light using headlamps to find our way in the woods as we hiked to several permanent blinds Ole had built in the woods. The blinds were comfortable and I quickly fell asleep as we waited for first light. My snoring must have been annoying to Eric, but fortunately didn’t seem to bother either the golden eagles or the northern goshawk. Not only were we fortunate enough to see both, but we spent several days photographing them from the warm and dry confines of Ole’s blinds. The week with Ole went by far too quickly. 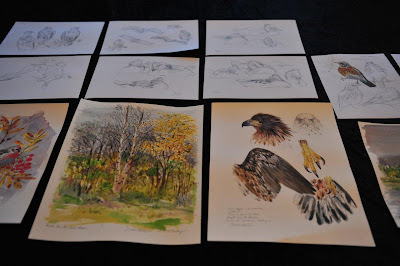 Eric and I journeyed home with many fine images of white-tailed and golden eagles, northern goshawk, and many of the small European song birds found in the woods around his blind. 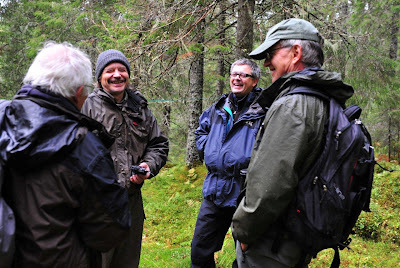 Seeing and photographing both black grouse and a pygmy owl was an added bonus to our trip. We left making a new friend and were already planning a return visit. Ole, thanks for a great week of shooting. The guest house is fabulous and one really feels at home there and the ability to cook and relax makes for a most pleasant experience. 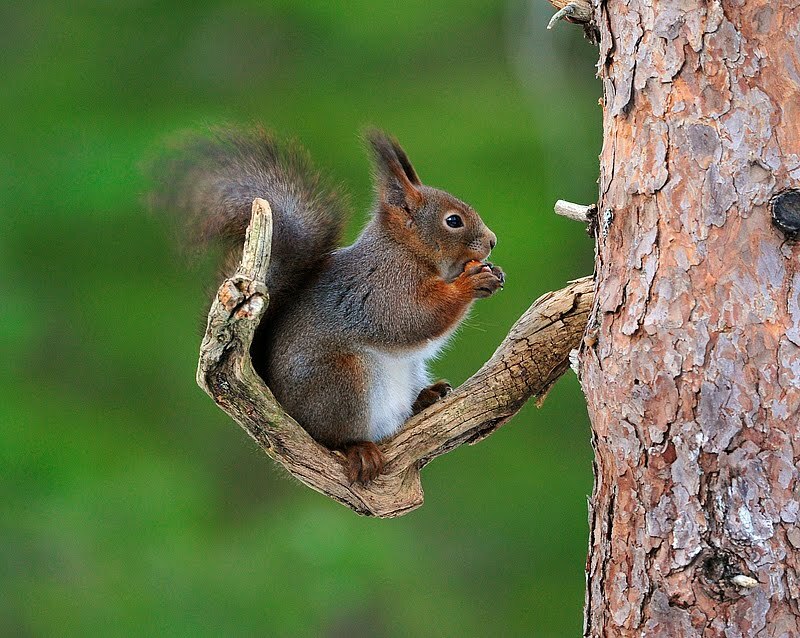 On the subject of the wildlife, there is only word to summarize – “Extraordinary”. The blinds you have built and the knowledge of the area and animal life takes all the variables out of shooting but and puts it all on the camera operator to get the shoot as the animals seem to magically appear. 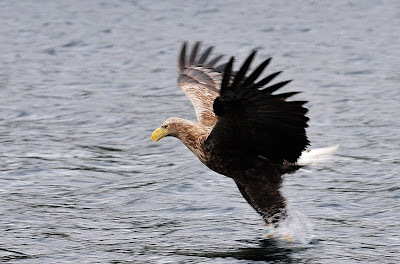 What can I say about seeing upwards of 10 pair of magnificent white tailed (sea) eagles. And then to have the opportunity to photograph them competing amongst other eagles for fish, watching them dive in for the fish and then almost on command, catch the fish and fly away – simply amazing. Then, to top it off, to see golden eagles and the goshawk on the same trip was the icing on the cake. And then if that wasn’t enough, to see pygmy owl, moose, black grouse and the other wide variety of bird species, made for an unbelievable week of shooting. Can’t wait to come back in the summer and when there is snow in the winter, looking forward to enjoying more of that great Norwegian hospitality. 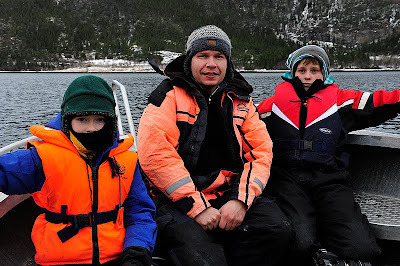 You are a great guide, a great host and now a new friend in Norway, once again, thanks for a great experience. Last week i had 3 artists from Artists for Nature Foundation visiting Flatanger. Juan Simo Varela from Spain, Jonathan Yule from UK and Wolfgang Weber from Germany. And what a week! 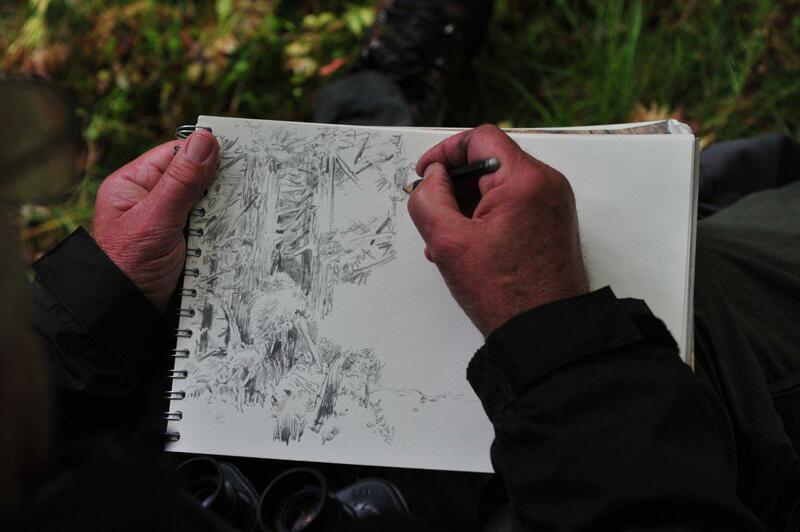 This week I have taken the artists to different plases, we have been in the protected Boral Rainforrest, out in the boat with Sea Eagles, Otters, Gulls and also Seals. We did one day with Eiders in Inderøy. 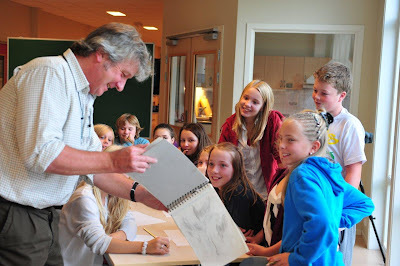 One afternoon the artists did a workshop with the children at the school and they inspired young girls and boys. And to see how different the arists draws is amazing. Sitting in the boat watching with their bin and than do great drawings, incredible!! 3 artists with different expressions. Friday we had a wonderful evening in the town hall with nice music from local artists, pressantation from ANF by Hans Rademakers, food from the living sea and our local hero (photographer) Stian Holmen. Stian is invited to the big GDT festival in Lunen Germany in late October!! Saturday the artists had an exebition in the community center and lots of people came to see an buy nice art. 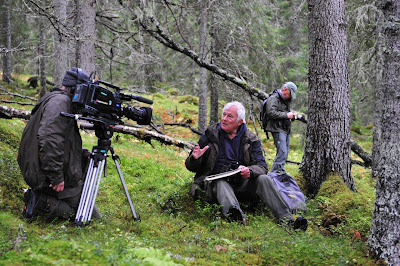 Also the main televisioncanal NRK have been here during this week and will come back next week to make a half houre about the artists and the nature of Flatanger. So the producer Ulf Myrvold have been working hard this days. 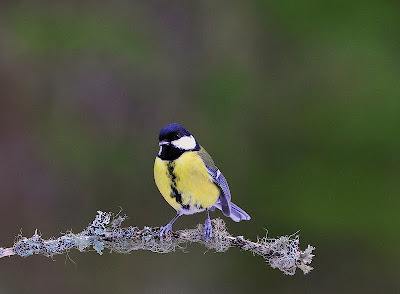 This prorgram is called “Ut I Naturen” and will be to see in March 2012. It’s always nice to meet new people and this 3 artists gave me a lot. But it’s always difficult when photographers or other people is leaving, emotional!! The good thing is that you still have this people, coming here, for a lifetime friends and that’s just great. 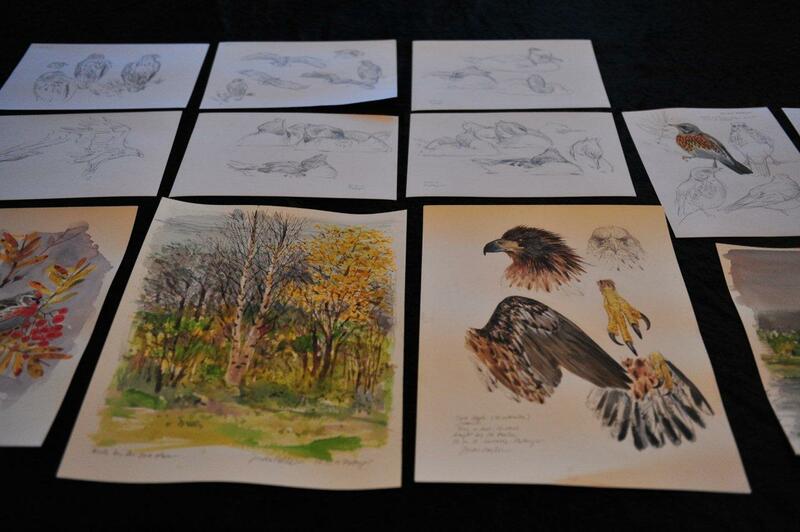 So to the artists, thank you for meeting you, I realy hope to see ANF back in Flatanger. 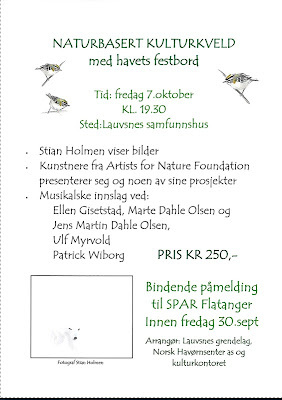 Fra den 2-9.Oktober i år vil Flatanger få fint besøk av kunstnere fra Artists for Nature Foundation. 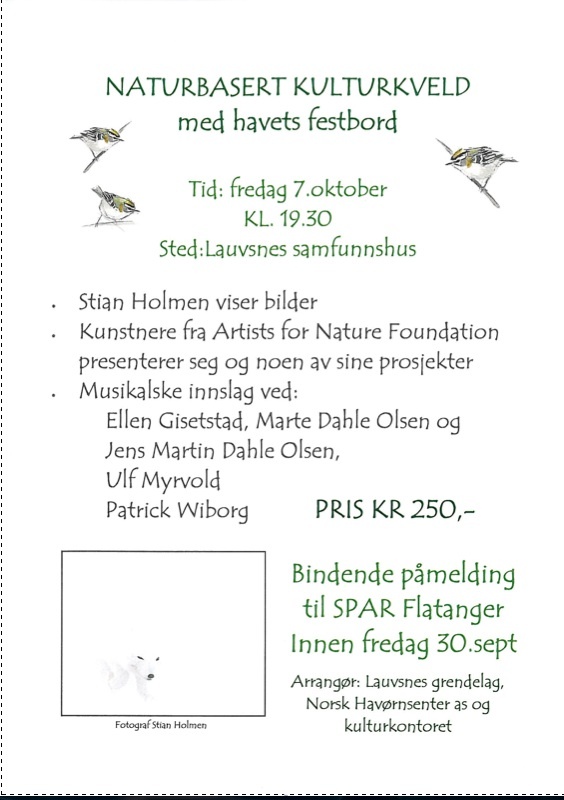 Jeg har invitert disse til en workshop i Flatangers natur. Er sikker på at mye flott vil bli laget disse dagene, og lørdag den 8.Oktober blir det utstilling av kunstverkene. Fredag den 7.Oktober er det en naturbasert kulturkveld i Lauvsnes samfunnshus der vi pressenterer kunstnerne for de som finner det ønskelig å delta på en riktig så spennende kveld. Det som også er spennende er at Ulf Myrvold fra NRK skal lage en halvtime for Ut I Naturen. Han skal også spille denne kvelden!! Spennende. Men som jeg gleder meg. På nettstedet geo.de kan du nå lese en artikkel fra Flatanger og se Staffan Widstrand i arbeid fra båten. Håper du tar deg tid til å lese (teksten er på tysk) og kikke på videoen der Staffan snakker engelsk. 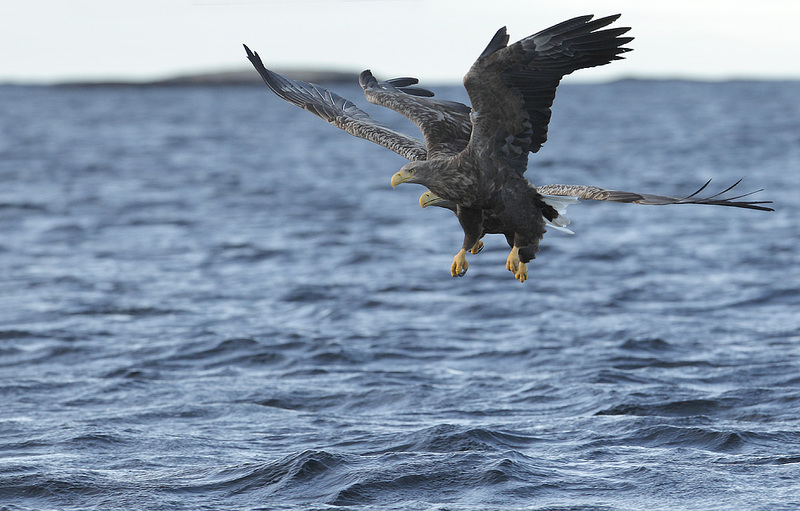 I have just returned to the UK after yet another monumentally successful photographic trip to the Lauvsnes area of Flatanger Kommune; more specifically, the White-tailed Eagles of Ole Martin Dahle. 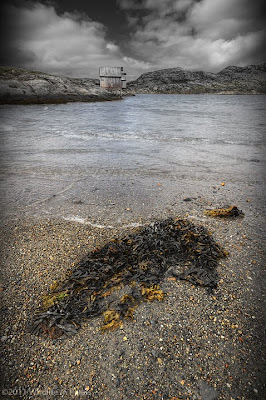 This area of Norway holds a very special attraction for me – an ancient landscape tamed by its inhabitants and unspoilt by the hand of modern commercial greed. Waters so crystal clear and packed with an abundance of life that forms the basis of a completely unspoilt and natural eco- system; where apex predators co-exist side by side with people who make their living from the very same waters. 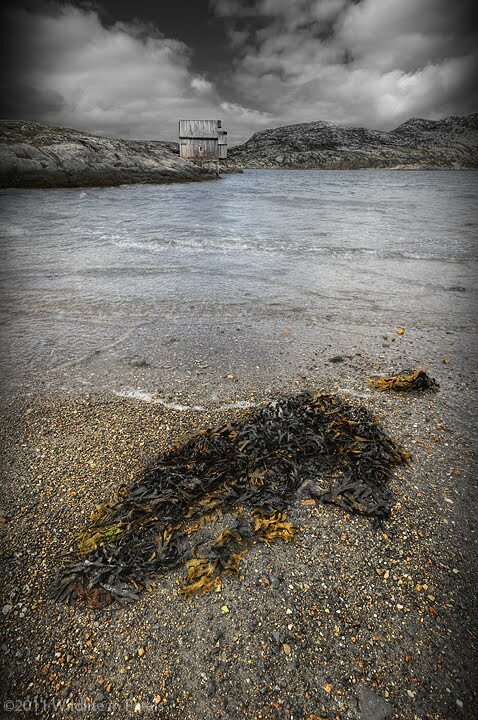 As a native Englishman a lot of people find it strange when I tell them that if I had the money and opportunity then I would move to this coastal region of Norway in a heart-beat: it would be the only conceivable way that I could do photographic justice to this spectacular area as there is seemingly a new photographic opportunity around every corner. 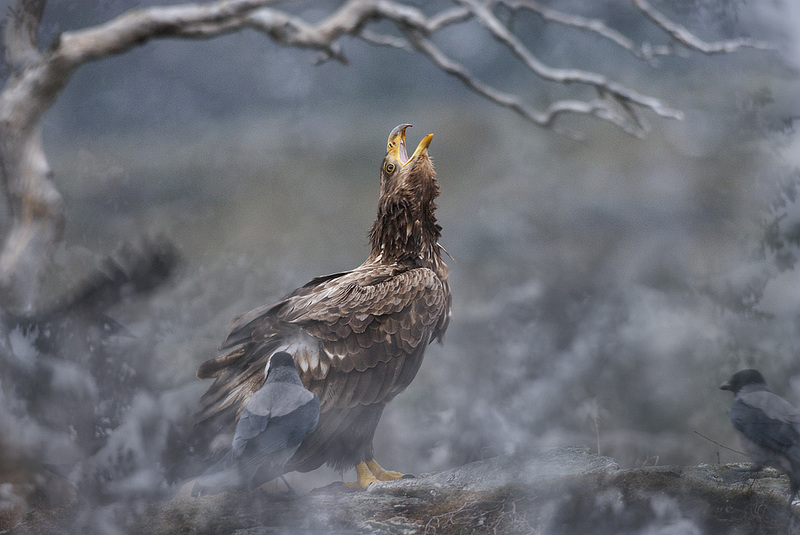 From superb White-tailed and Golden Eagles to landscapes, and all points in between, this region of Norway has an abundance of photographic opportunities to offer the photographer who is prepared to make the journey. Irrespective of the costs involved I’d challenge anyone on the planet NOT to find a trip to Flatanger one of the most rewarding and unforgettable experiences they could have in their entire lives. And nothing gives me greater pleasure than bringing clients with me who have never been before, and who, on their return home, feel the same way I do; wanting to go back, and the sooner the better! This latest trip has been the most spectacular to date with beautiful light and more eagles than I have ever seen before; with up to seven of them in the air above our heads at one time. Trying to make the most of golden opportunities like this is hard work as you are constantly trying to work out which eagle is going to dive for the bait fish. Combine this with swinging a 4 kilo lens by hand whilst trying to maintain focus and composition, all from a boat that is rolling in the sea swell, well; all I can say is that after four or five hours you need a rest! Through his knowledge and experience with these incredible birds he can put the visiting photographer in front of so much action that you are literally begging him for a ten minute break if you are not used to the pace! 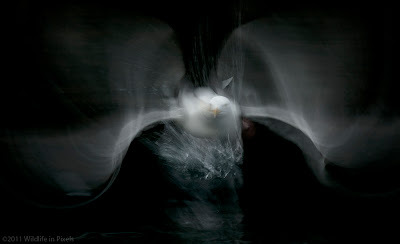 And you have to understand that it is not just a case of turning up in just the right place at the right time, there’s a lot more to the art of photographing these eagles. 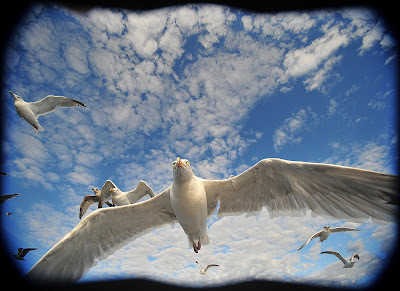 If there is no wind then the birds can come in to the bait fish from any direction which means that you can not predict their flight path, and they may also be flying with their tails towards the sun which means that their all-important faces are hidden in the shadow cast by their massive wings. You get the same result when the wind is blowing towards the sun as all birds like to fly into the wind. 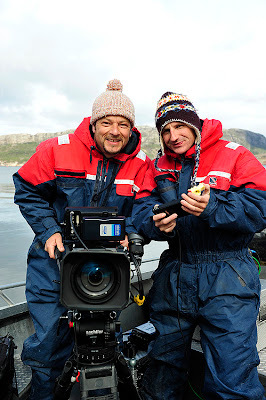 But Ole Martin knows all the areas in and around the islands and fjords where he can find variations in the weather conditions that are sufficient to give you good images. This innate ability he has for being able to put you in the right place time after time is down to his understanding and appreciation of good photography; something which is quite unique amongst guides. Charlie is my good friend, for 3 years he has been using my head and my Stoke cap as resting place. For all of you who can watch german television. This man at the picture is Jan Haft, the boss of NAUTILUSFILM. They are very good and the 4th July you shold look at ARD at 20:15. Det er min nevø Brede Larsen Hunnestad som ringer. Joda, onkel kan bekrefte at det er mars nå -og jeg er også fullstendig klar over hvorfor gutten ringer. Like før jul spurte Brede om han ikke kunne bli med ut og ta bilder. Men for en naturguide som meg er vinteren belagt med gjester- og Brede fikk løfte om positivt svar hvis han ventet til i mars måned. Ja, så nå fikk jeg beskjed om at tiden var inne. Vi fant en dag der Brede hadde fri fra skolen. 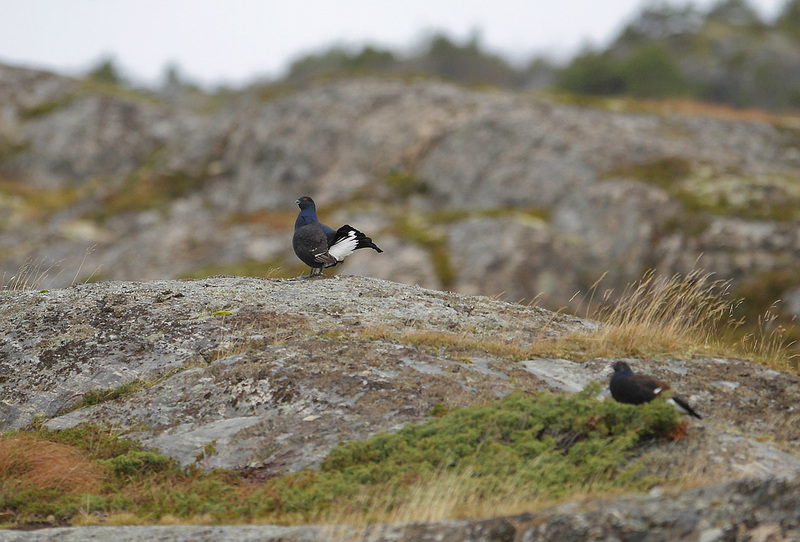 Han er en herlig gutt på ni år og nå ville han også bli naturfotograf-for en dag. Min kompis Kjartan hadde signalisert at han og Elias ville komme utover fra Namsos på ettermiddagen for å slå lag med oss. Tidlig neste morgen var det klart for action.Vi startet i et fotoskjul for småfugler og Ekorn. Montering av fotoutstyr er viktig-slik at alt er klart når fuglene dukker opp på foringsplassen. Nikon D700 og et 200-400mm objektiv skulle gjøre en del av jobben. Selv skulle jeg bare være litt til hjelp for gutten-slik at han skulle få et så godt resulatat som mulig. Onkel skulle ikke ta bilder i dag.Som vanlig er det full fart utafor skjulet med Dompap, Nøtteskriker, div meiser og disse tre utrolige Ekorna som holder til i skogen vår. Det knatret godt i D700- kameraet, det er mye å ta bilder av. Jeg tenker med bekymring på jobben som skal gjøres etterpå. Den digitale verden er moro så lenge du sitter og tar bilder. Etterpå er det pyton!! Men økta i skjulet er over i rett tid på dagen. 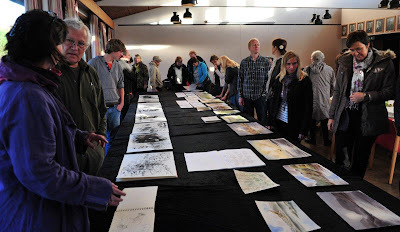 I pausen registrerer jeg at Brede hadde fått utrolig mange flotte bilder og at han fort lærer å finne motivet i søkeren-og sjekke at det så ok ut. Neste økt var å besøke en nabo som har en oter under uthuset. På dette tidspunktet fikk vi besøk av namsosingene Kjartan Trana og Elias Arnø, alltid trivelig med slikt selskap. Jeg lurte litt på hvordan Brede skulle greie å holde kameraet og linsa, samt å finne et raskt dyr i søkeren. 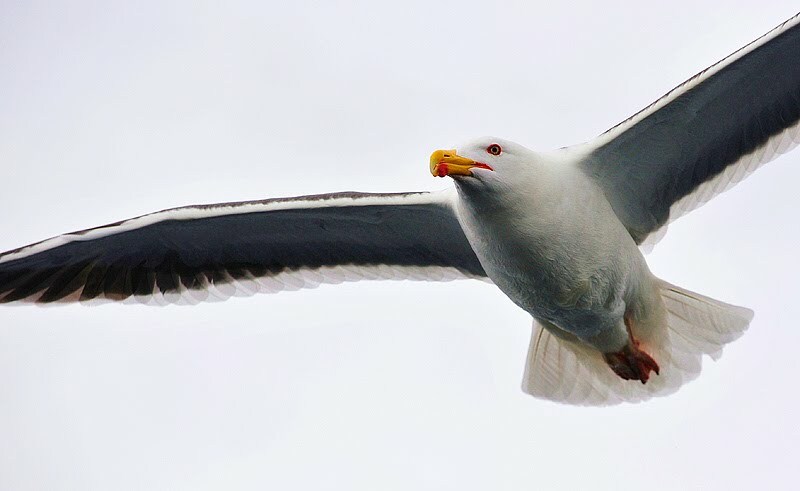 Selv om linsa nå var en 70-200mm så er dette tungt å holde. Jeg kunne bare glemme mine bekymringer, gutten raslet i veg, serie på serie og Brede sikret seg bilder av oter mange vil misunne han! Så var det tid for en vanskelig fotosession, Havørn- fotografering fra båt, de siste 3 timene av dagen. Været hadde slått om, flatt lys og mye vind.Men Brede og Elias ville så gjerne prøve ørna. Med en hale av måker som skriker etter brød, kjører vi ut. Det tar ikke lang tid flatanger-ørna dukker opp. Vi får ørnestup på ørnestup og det ” skytes” hundrevis av bilder. Jeg er imponert over Brede og Elias, sistnevnte er bare 11 år, men de står på-og noen ørnebilder blir faktisk meget bra. Etter båtturen og fotografering av ørn-skal resultatet av dagens fotojakt sjekkes.Flere hundre bilder skal vurderes, og jeg ser faktisk fram til noen timer bak pc-en. Dagen med Brede, Elias og Kjartan var meget innholdsrik. Men den største gleden hadde jeg av å ta med min unge nevø ut i vår utrolige natur. Han fikk låne godt utstyr til å ta bilder med-og han utførte det utrolig bra. Brede var også fornøyd. Kanskje får han låne onkels utstyr en dag lyset er lettere å jobbe med. Smilet i nevøens ansikt fortalte meg at gutten hadde hatt en flott fridag fra skolen-i naturen. I have lots of “friends” out there. 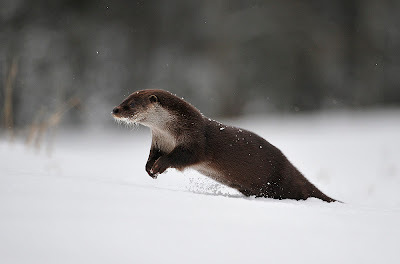 Miguel, Maurizio, Arnold, Florian, Gill +++ But I must say that the Otter is my favorite animal. 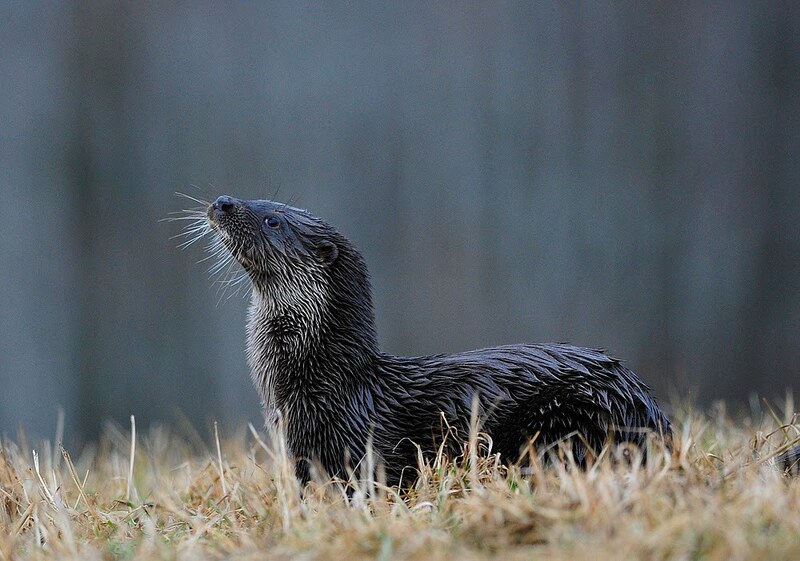 In Flatanger we have a very good population of Otters. 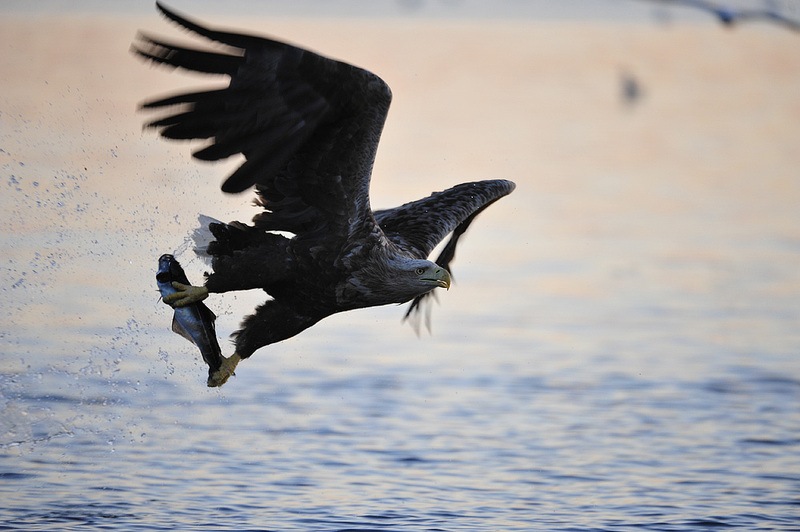 Where the Otters live there is also a good place to live for the Sea Eagles. All time of year you can see Sea Eagles stealing fish from the Otter. 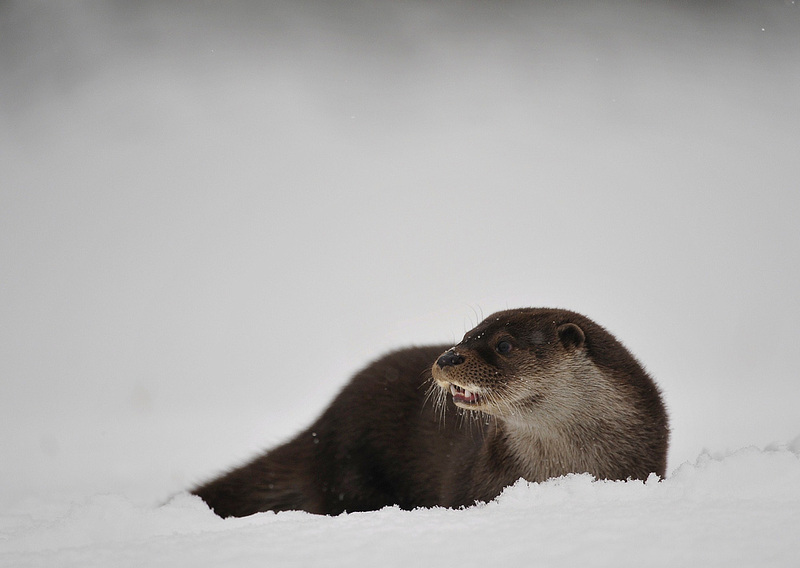 Our coast is rich and it’s no problems for the Otter to find more than he need. 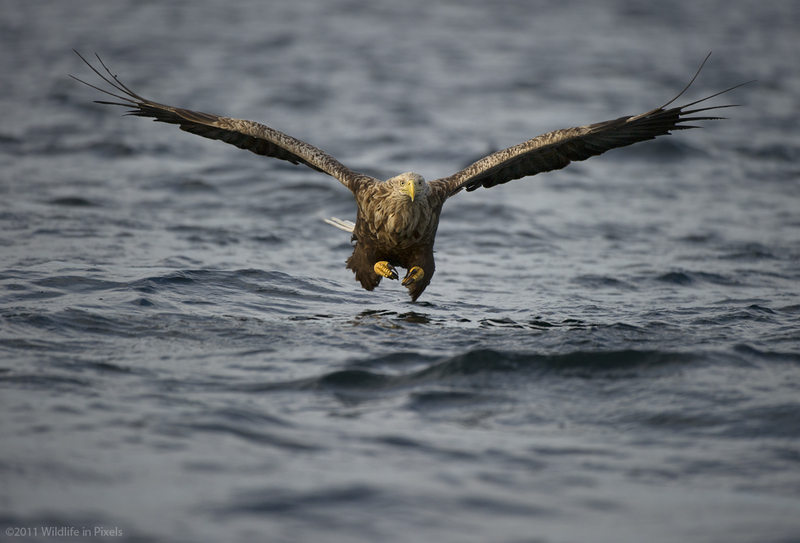 But the eyes of a Sea Eagle is just amazing, in 1-2 km they can see a smal fish in the sea, and they easily can see an Otter. 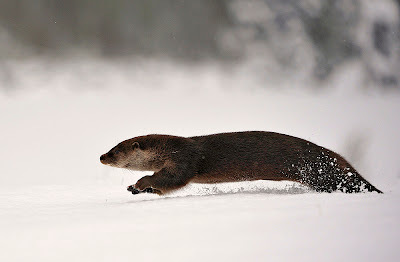 But the Otter dont care, if the eagle steals he find a new one, easy!! And they have fun, in the winter you can see them having fun, like walk up on the top of an island and than slide down in the snow. So this Otter is around now. The pictures are taken in 24 hours , so you see natures changing fast right now. Hope he will be around for some more days so my new guests can meet him!! 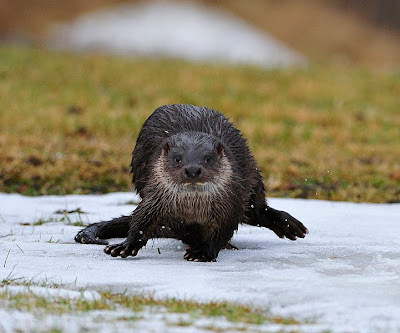 Great fun but he is a wild animal and he is a great fisher, can see him fishing in the lake and river. My winter feeding season is over now, having some days just to be an Otter:-) So to all who have been here in Flatanger this winter, THANK YOU!! Have been a good year even if the Goshawk have been difficult. She lost here husband last spring. 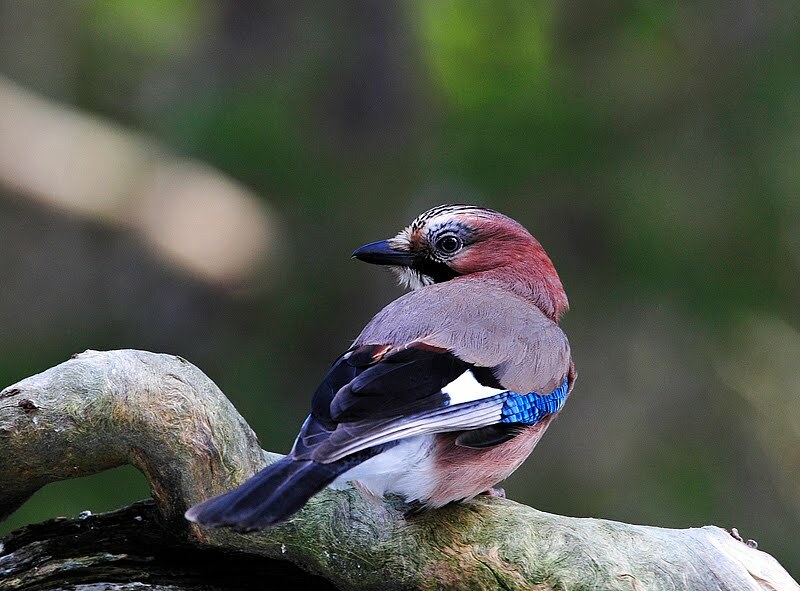 She is now calling for a new one, hope he will be a good bird for my guests!! I had a chat with my friend this evening. Yes, I have a friend who looks like me, but he has been there for many, many years. He is the “Troll”. 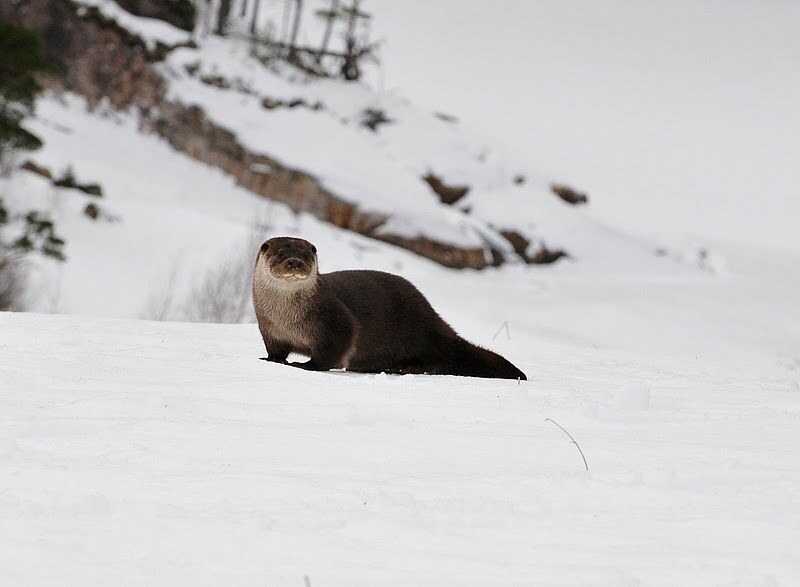 He is living close to the sea on the way to my Sea Eagle hide. 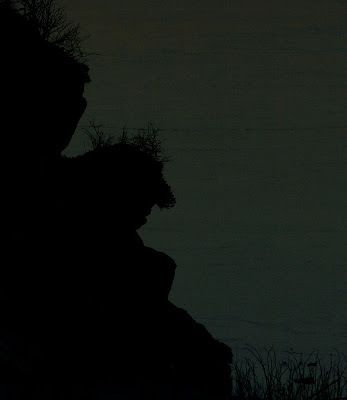 He is sitting there because he was to late back from a meeting with his girlfriend, sunrise for a Troll is dangerous. Sun makes them to solid rock!! I talk to him when I have a walk in the evening. He is sitting there,thinking. 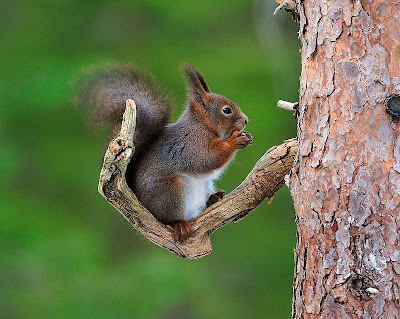 He is so nice, looking out in this beautiful nature. This is the land of the Trolls. Every day, every night, rain, snow, cold and hot, he is there. I sometimes ask him what he thinks about humans and nature. 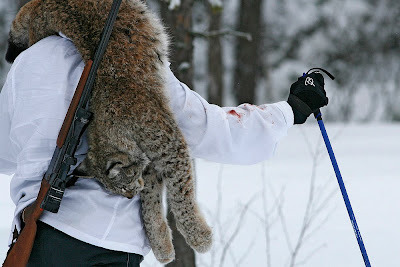 1 Feb they started Lynx hunting in Norway. This amazing animal were free to kill for some weeks. We could take out 166 animals!!!!! Mr. Troll! 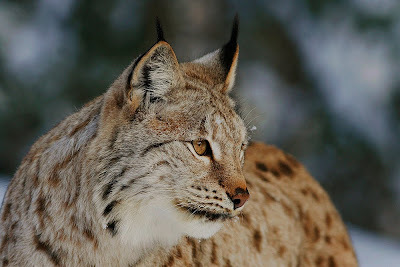 I saw some tracks of Lynx some days ago. But we keep it secret, me and you. My dream is to have a Lynx sitting on your head in the sunset. But as long as there are people on this planet, no animals can feel free.